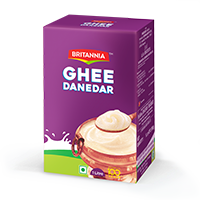 Britannia presents the customised ghee for every region of India. 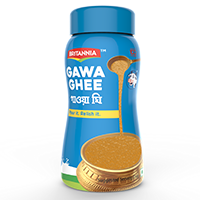 Now you can relish the memories of your childhood ghee dishes sitting in any city of India. 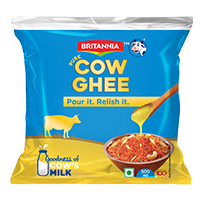 Made from good quality cow's milk, it has a rich golden yellow colour. 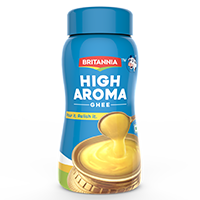 Its aroma will give your family a hint that something special is on the way. 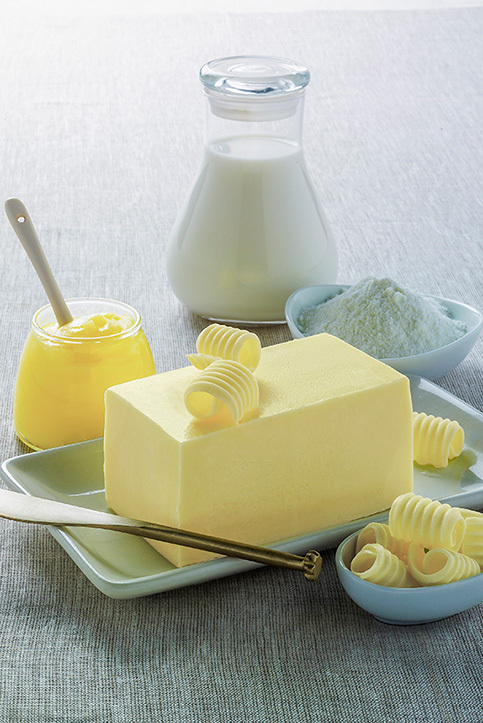 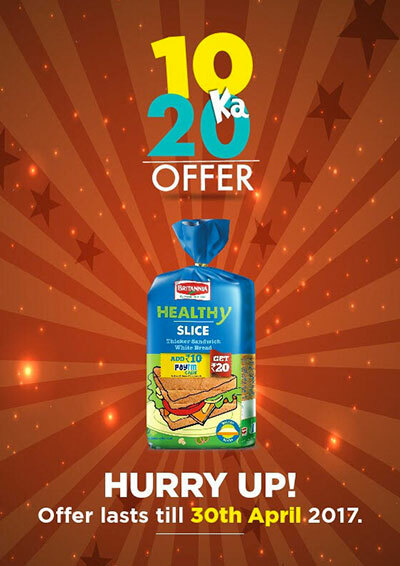 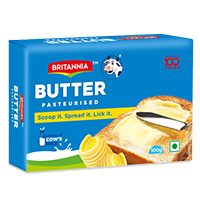 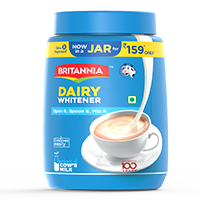 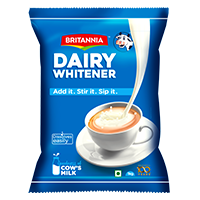 Britannia ghee has loads of freshness, purity and aroma which are retained even when not refrigerated for a year. 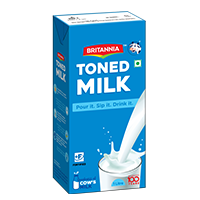 Available in various pack sizes of 100ml, 200ml , 500ml and 1lt.